When it comes to music equipment, one of our biggest passions is pressing on some genuine MIDI pads. Typically used for drums, we also like to create our own little stabs and change the octaves, getting that natural feel for some recordings we do. Another awesome capability of these pieces of equipment is playing them live: i’ve gotten such good feedback from friends who have gone to my shows and said their favorite part were the drum solos I did (pretty improvised) during a few of the songs of my set. When it comes to finding the right USB MIDI pad controller for you, it’s pretty much down to budget. Most of us are using this piece of music equipment for a supplementation to our studio and live performances. If we were to choose our favorite, it would be within the realm of $100 or less that also features some additional capabilities from a well-trusted brand. 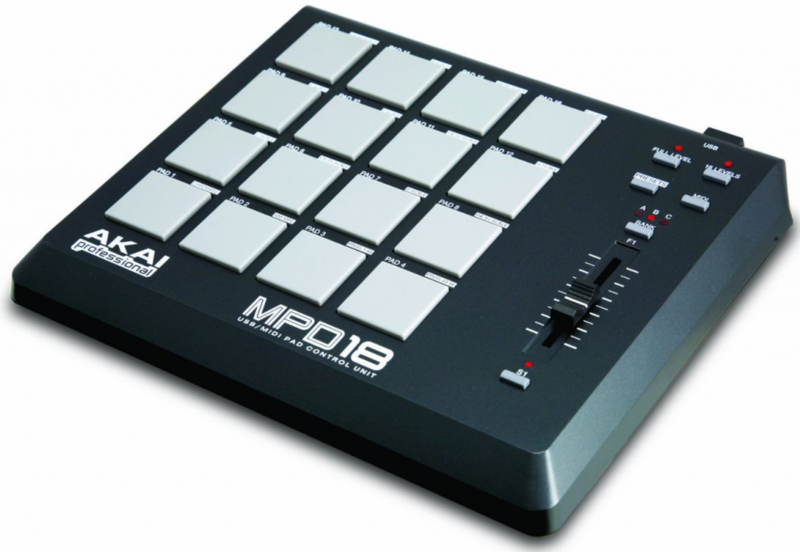 We’ve chosen the Akai MPD18 not only because of the lower price of around $100, but because it does what we’re pretty much looking for: provides a solid and durable set of pads to play with. 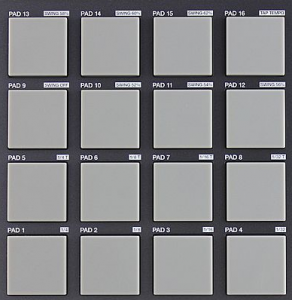 The pads are genuine MPC pads, which is basically what determines this to be the best out of all of the competitors: Akai Professional has been making drum pads since literally the 1980s. It includes 16 velocity and pressure-sensitive pads with three different banks so you get a total combo of 48 possible sounds. It’s also USB powered, excluding the hassle of an adapter (great for traveling, etc). It also has their famous ‘Q-Link’ controllers so you can control pretty much every parameter in your software real time (great for performing). Configurable presetting is also possible here and it’s compatible with both Mac and PC. We think this is the perfect supplement for your rig (whether it’s live or studio-use) to go alongside your other gear, such as keyboards or DJ equipment. 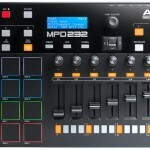 You can also check out the Akai MPD26 or their MPD32 for some extra features, such as foot switch inputs or LCD screens (not necessary, but if you need them, take a look). We’ve listed the nanoPAD2 by Korg for one of our best USB MIDI pad controllers because of its price. At $50 retail, you get what you pay for: a relatively cheaper set of controller pads. 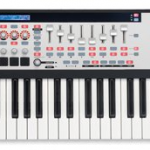 It isn’t too cheap however — not a knock-off necessaryly, as Korg is a huge brand in the music equipment game. You get 16 pretty solid drum pads (not as nice as the MPC pads), that are responive and volecity-sensitive as well. You can use their X-Y touch-pad for MIDI parameter control. Just a set of basic functions for a MIDI pad controller here, but great if you want a cheaper solution. It’s also super slim and sleek, great for portability and overall convenience. Other versions available: The same model but in white. This is a super-portable USB MIDI pad controller and about 30$ cheaper than our choice previously stated. It’s USB-powered for no adapter, plug-and-play connection for both Mac and PC, and comes with some editing software too. It’s got 8 backlit velocity-sensitive pads and q-link knobs for parameter controlling. Super slim and compact. 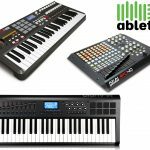 If you’re looking for a cheaper set of MIDI pad controllers and need a portable one, this is something to look at. Other versions available: The Akai MPX8 is a little similar but is better for samples or read our MPX16 pad controller review. Here’s another $100 USB MIDI pad controller that’s an alternative to the MPD18. Vestax‘s pad has 12 pressure and velocity sensitive backlit (LED) pads, with a different color for each (merely decor). It also has an XY touch pad which the MPD18 does not, but that’s why we’ve listed it here: if it’s worth it to you and you do use your XY pad, this is one to get over our main choice. It’s also super portable and has a nice build. 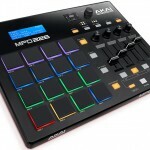 An overall great USB MIDI pad controller if you like the XY touch pad feature and backlit pads. This is a pretty slick machine, we just love the look of it. The 16 trigger pads are also LED illuminated and are velocity-sensitive. Two assignable knobs and an assignable pedal jack. There ar ealso 16 user scene memories and preloaded templates. Just an overall nicer USB MIDI pad controller if you have a few extra dollars to spend. 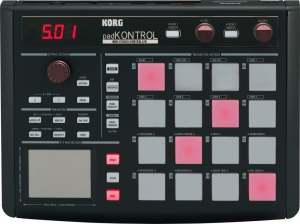 The pads aren’t as nice as the MPC pads but they will suffice if you’re looking for a machine with some knobs and XY pad. 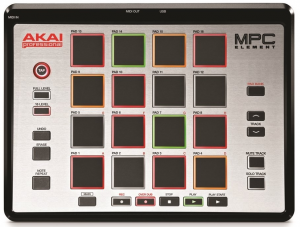 We did a review of the Akai MPC Element and think it’s a pretty solid rig. 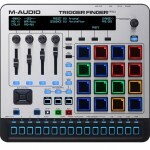 It’s a bit more money because of the other features it comes with as opposed to other USB MIDI pad controllers. This one has it’s own software that comes with it (which his pretty much the price difference). You’ve got the 16 backlit multi-color pads that are velocity and pressure sensitive, a very slim design for portability (14mm thin! what? ), USB powered for adapter-free use, and lastly, why the price is $150: the MPC Essentials software. Read our review to see if it’s worth grabbing. 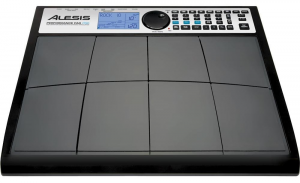 Alesis makes an apperance in our best USB MIDI pad controllers because of the drum pad quality. This why the price is so high: they really stressed the make of their pads, calling it ‘Dynamic Articulation’. You only get eight, but they’re super big and may help your playing style if you need it. It’s also got a built-in drum machine so you can record and playback some loops you make. It comes with some sounds (about 500) so if you’re looking for some pre-sets, you’ve got some. Take a look it if you have the cash. 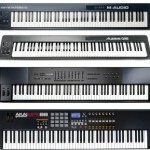 Check out their newest version and our review on it, the SamplePad Pro by Alesis. 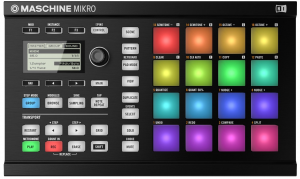 Last but not least, we include the NI Maschine Mikro because it’s pretty dang powerful. Native Instruments create basically their own entire rigs. It is not your typical MIDI pad controller. It’s got it’s own groove production studio built into it. It’s a waste of money if you’re buying it just for a supplemental drum pad to accommodate your other MIDI and music equipment. If you’re looking for something that has software to basically act as a standalone piece of equipment, get this. It looks cool too. Other versions available: In white and the step up, the regular Maschine Mikro MK2 and the big boy Maschine Mikro.